We will connect you to a suitable training database including if required a copy of your own data. Training will be scheduled at a time to suit you. You will be able to view our screen and will hear us over the telephone. We will visit you and prepare a training programme based on your requirements. You will receive training on your own database and can bring in members of your team for specific sessions during the day. Training at Infospeed House is very popular as it gives your team the chance to focus on the training without the interruptions of the office. Here you can meet the team, understand more about Class and Infospeed and have access to all of our resources. Our new meeting room is the perfect environment for Class training and tea/coffee cakes and lunch are always provided. We will visit you and prepare a training programme based on your requirements. You will receive training on your own database and can bring in members of your team for specific sessions during the day. 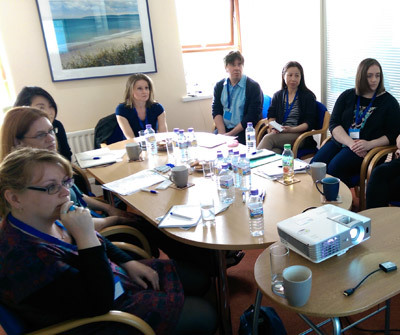 Super User Training is our new training programme available to customers on our Connected Support contract. The idea is to ensure that you have one member of staff fully aware of Class’s capabilities and the latest updates. A single point of contact for us and a resource to ensure you are working as efficiently as possible with Class. Training takes place at Infospeed House and we even pay your accommodation and take you out to dinner. Each session had been fully booked so far so book early for future sessions. See here for more details.